Every gamer needs a reliable storage disk that will store his games and any other preloaded files for online games. Enough storage space is necessary in this case, for all your games and everything else you might have on your computer. 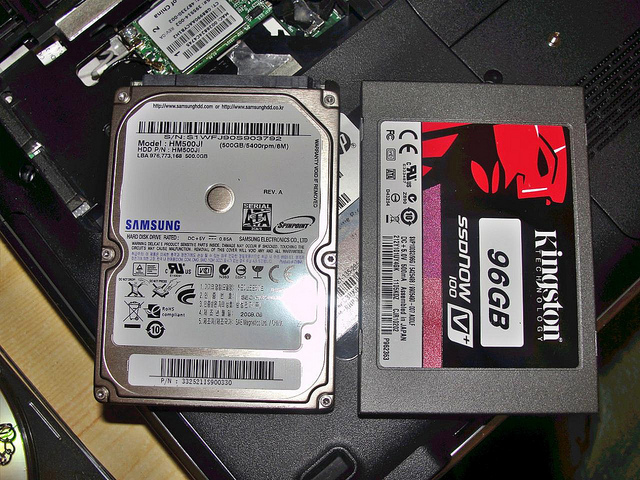 SSDs and HDDs are the common types of storages used by computer users across the globe. They both store data but their technology are quite different. This explains why it might be confusing for one to choose between the two. This is a detailed comparison of SSD vs HDD to help gamers make the best choice of storage disk. Every computer has basic storage that is called HDD (Hard disk drive). HDD consists of many removable parts. The disk capacities of HDD are 500G, 1TB, 2TB, 4TB and so on, each of a different size. There are various interfaces of HDD too, for instance SATA and PATA. PATA and SATA interfaces are best suitable for homes as they come with large capacities and are lower priced. There is SCSI interface too, that is usually more stable and performs better, making it good to use for workstations and offices. The latter are usually more expensive. SDD or Solid State Drive on the other hand is a disk made of solid state electronic memory chip arrays. In it are both control and memory units. This type of storage is mainly used by militants, for network monitoring, video surveillance and in navigation equipments among other areas. When compared to HDD, SSDs are more expensive. The problem with SSDs is that they are not as popular as HDDs. The speed of a storage device is very important in gaming. In this case, SDD takes the lead. SDD has a faster read-write speed mainly because it does not have any head, like HDDs. It exhibits a speed that is two or three times faster than that of HDDs. SDD uses flash memory as its storage medium; whose seek time is zero. This means that it experiences no delays at all when reading and writing information. You can run anything on it, including the entire operating system or larger software. In gaming, this is important as it determines the game’s loading speed and the overall performance of your system. This too is very important in gaming. It is important to note that both SSDs and HDDs have a good memory capacity that can go as high as 8 TB and more. These days, it is easy to get more memory capacity with any storage device you chose. The only difference here is the price to capacity ratio. In this case, a HDD will be a cheaper option than an SSD. SSDs are highly priced and their prices in the market are increasing as their popularity increases. If therefore you are looking for a higher capacity at a much lower price, a HDD will be a better storage device for you. 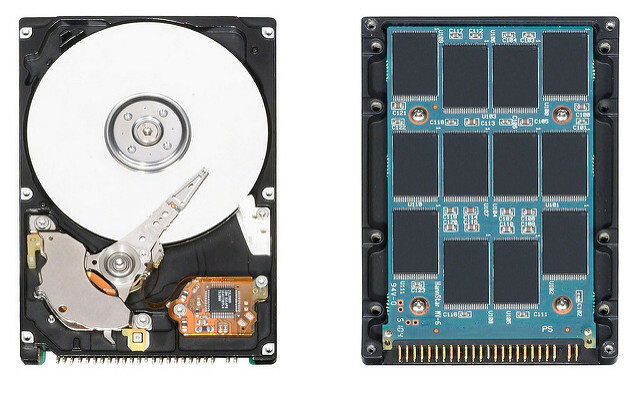 HDDs can be quite noisy because they use a mechanical motor in their operation. SSDs do not use any kind of motor. Without this motor and the internal moving parts makes SSDs able to operate with 0db of noise. Not all HDDs are noisy though. Their noise level depends mainly on their speed. HDDs that spin at a higher speed tends to produce more noise than the slower ones. The age or condition of the HDD will also determine the amount of noise it will produce. If you are using an old HDD or one that is damaged, you will experience more noise than anyone using a newer HDD. This is because they contain several internal mechanical parts that are removable. These lack in SSDs, making the latter able to survive in case of vibrations, overturning and even dropping. In case of a fall, or any kind of mishandling, HDDs can easily get damages and this might lead to data loss. If any of its internal parts gets lost or damaged, it gets damaged on the spot. If you are using an SSD, your data is absolutely safe even if you laptop falls down. When it comes to their lifespan, HDDs are able to last much longer than HDDs. However, this is not a major thing because even with intense use, you can still enjoy your SSD for more than 5 years. HDDs on the other hand can go up to ten years but their performance tends to decline with time. In this case, none is better than the other. HDDs especially the traditional ones are quite heavy and large in volume. They may not be as portable as SSDs, which are much smaller and lighter in weight. For gamers who want to bring their games wherever they go, SSDs will be a better option in this case. SSDs will make it easy for you to share your games and to play with friends with convenience. But HDDs can only be used in your gaming room or within the house. Chances of losing data stored in a HDD are very high. Data loss is a nightmare of every computer user. For a gamer, it means loss of his favorite games and anything else that he might have had in his computer. HDDs’ performance declines with time and the risk of the disk getting corrupted increases. Its chances of losing data increases too after multiple overwriting. HDDs are given a normal lifespan of only five years, after which you run the risk of losing your games and important data. SSDs are more reliable because they are not easily corrupted as a result of multiple overwriting. They are not easily damaged too and can therefore serve well for many years without losing its capability. Since heating is a serious issue many gamers are facing today, it is important to consider heat dissipation whenever you are buying a storage device for gaming. In this case, SSDs are better to use. This is because they are more energy efficient. SSDs produce less heat when compared to HDDs. With a HDD, your computer can easily get overheated, lowering its performance speed and lifespan. An SSD will provide your laptop with the amount of cooling it needs, allowing you more time to enjoy your games. HDDs can work very well for gaming. That is as long as they have enough capacity to store your games and are fast enough to support the graphics. 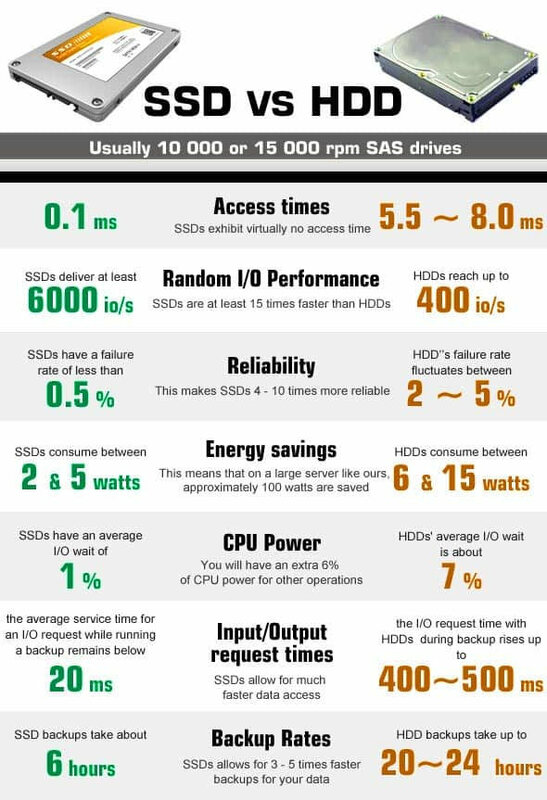 However, the performance offered by SSDs is more superior to what you get with a HDD. SDDs are more reliable, they will serve you better for a long time and they are more durable and less easily damaged. SSDs are however not the best for long-term storage solutions. This is because of their ever-increasing prices in the market and their shot lifespan. The best thing to do as a gamer is to take advantage of what both of them have to offer. You can get a smaller SSD for all your games, and then use a larger HDD for your data. This will give you a perfect storage solution at a more affordable cost.